Single mothers are paying up to 70 per cent of their income on rent, with new research showing rental affordability is at crisis levels for low-income families in Australia. The latest Rental Affordability Index (RAI), released on Thursday, found while rental prices have improved marginally in some cities, these gains have not flowed through to low-income households struggling to make ends meet. More than a million Australian households currently need some form of housing assistance, while 45 per cent of low-income households experience rental stress – defined as paying more than 30 per cent of their income towards rent. The RAI measured rental affordability relative to household incomes based on new rental agreements. Hobart edged out Sydney as the least affordable city to rent in Australia, with Hobart households even on average incomes at risk of rental stress. Ellen Witte from SGS Economics and Planning – which prepared the RAI along with National Shelter, Community Sector Banking, and the Brotherhood of St Laurence – said she was particularly worried about single parents with children. “There are 110,000 single-parent, low-income households out there living in rental stress and 82 per cent of those households are single mothers,” Witte said. Low-income renters are also set to be hurt by the looming closure of the National Rental Affordability Scheme (NRAS), which provides incentives to housing providers offering rental properties at least 20 per cent below market rates. 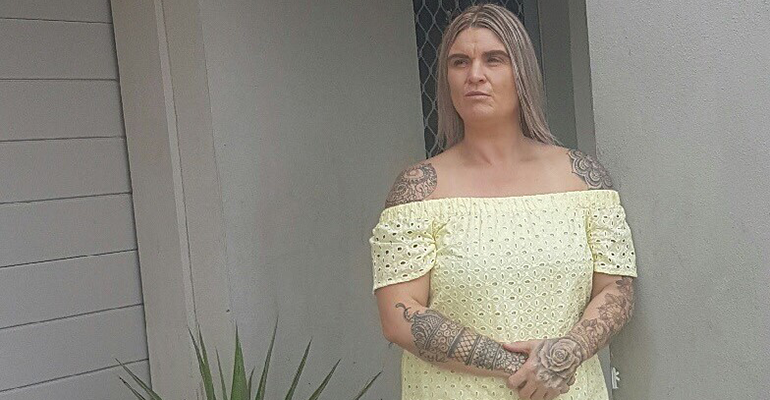 Single mother Melissa Jones has lived in a Horizon Housing NRAS property on the Gold Coast for the past four years raising three children aged four, seven and 15. She said she fled Hobart to escape a violent ex-partner and relies on the disability pension to get by. Jones told Pro Bono News she feared the loss of NRAS subsidies would force her family onto the streets. “If NRAS ends in the next few years than I’ve got nowhere to go. I’d lose my car, I’d lose everything,” Jones said. Jones said there was a dire need for more affordable renting options in Australia. She urged the federal government to create another scheme to protect single mothers and other low-income renters when NRAS wraps up. “People with partners might be okay because you can pay one week’s rent and they can pay the other, but the ones doing it on their own like me don’t have the option,” she said. “The tax regime treats housing as an investment objective first and as a place of residence second” – Ellen Witte, SGS Economics and Planning. There are around 244,000 low income, single-person households experiencing rental stress in Australia – 57 per cent of whom are single men. Rental affordability for single pensioners was also found to be alarmingly poor in all Australian capitals and almost every regional area. The RAI report said pensioners would have to move to regional South Australia to find accommodation that did not force them into rental stress. Conny Lenneberg, the executive director of the Brotherhood of St Laurence, said the RAI showed those who could least afford to pay rent were suffering the most. “High rents are pushing unemployed people on very low Newstart payments into deeper poverty,” Lenneberg said. Lenneberg called for governments to urgently increase subsidised social housing. “The cost of renting in the private market puts many low-income single parents, usually women, under extreme pressure. Many parents forgo basics such as food and paying household bills to keep a roof over their family,” she said. Adrian Pisarski, the executive officer at National Shelter, called for a National Housing Strategy to improve the situation for low-income renters. “While we have many housing markets in Australia, none of them are positive for renters. We need a multi-party commitment to improve rental affordability over the long term,” Pisarski said. People who rent are ignored in most areas of social and financial policy. Yet they contribute more to the economy than any other sector. A Single woman in her fifties is more likely to be homeless than any other demographic – Her income as a PAYG is usually on the poverty line (After tax around $40,000. pa) – negotiating a pay rise would prove risky as she will force herself out of a job-finding full-time employment in your fifties for a woman is extremely difficult , also any considered pay rise will be reduced by tax so not worth the stress of asking- She does not qualify for any government support – She relies on the private rental market and needs to live close to work (usually cities) for economic reasons (Needs public transport, usually no car -but running car is expensive) so the rent is around 70% of her income. Once in the rental market, the system is horrendous – 12 weekly inspections, a few days late – notice to leave issued immediately -there is no negotiation whatsoever – can’t hang a picture, treated worse than a prisoner in their cell. Agents deliberately not fixing appliances which should work – then blaming the tenant when they leave – I know numerous women subjected to bullying, harassment and threats by agents, landlords because they are in such a vulnerable situation. More needs to be done but our politicians are so removed from this crisis they all think you are making these scenarios up – I know because I have tried to bring it to a few fed Members’ attention. It is a problem which needs immediate attention. It’s been very clear for well over a decade that rental affordability has been an escalating crisis, a crisis without end, and critically no solutions to address the drivers of the crisis. to feather bed retirements, generate fast returns on rising asset rising prices, all fuelled by speculative motivations and decision-making. This is fundamentally immoral and unethical; a direct consequence of this business model has been and continues as Hobart clearly demonstrates, escalating rents, tightening rental availability, and low, fixed and moderate income earners priced out of metro areas, and as RAI’s of the last few years has shown, people are also being priced out of regional and rural centres. Homelessness rates are increasing, tent camps are becoming common features throughout regional and metro Australia, and vulnerable people are being pushed further to the margins, and over the cliff. This isn’t an overstated and exaggerated characterization. As a nation we’ve crossed a rubicon. 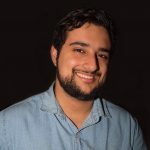 While the intergenerational wealth transfers and a deepening schism between the housing have’s and have nots is socially and economically unsustainable, for current and future budgets, the longer term prospects social mobility, household security, and community wellbeing are not even being factored into policy. The solutions are clearly evident, readily deployed, and innovation and experimentation in alternative models is well overdue. We just lack the emotional and intellectual maturity to act. To so so means thinking and acting ethically. How much worse can consequences be before we stop and reflect, and take a different path? Hi David, the issue you’re raised is not a side issue. I’m on the NSW Housing Register, which now means as a result of NSW Govt ‘reforms’ to FACS and HousingNSW, to give clients more say and control of their housing needs, all public housing stock is transferred to community housing providers. Far from being the custodians of public, social and affordable housing, these are effectively contracted out providers who’ve yet to publicly reveal just how publicly accountable they are in their processes of managing lists, assessment processes etc. Public and social housing is disgracefully inadequate, has been for years and the provider I’m with just shrugs their shoulders and say ‘ oh well it’s a 12 year wait’. For all appearances they do nothing to increase accessibility, indeed accept tightening eligibility to only those they deem as in severe need. Being poor, on a low fixed income is no longer sufficient. One manager of the regional office told me bluntly that ‘social housing was a product, and it’s our job to sell it.’ Shocking. Existing clients – or in fact any public citizen concerned about the rental crisis- have no say in discussions, they’re effectively locked out of any and all forums about the future direction of social housing. It’s a closed shop. At the local / regional level inter-agency is where it all happens: no non-professionals permitted by definition. Everyone from homelessness services, community health, family and youth services, community resource centres etc. all agree it’s a crisis, do brain storming session about ‘concerns’ agree it’s stuffed, then conclude the meeting, have tea and chats…and nothing is acted on. Thats from insider information. It’s been going on for years. One regional office manager of SHS told me ‘yeah it;s really bad out there, I guess, but what do you do?’ well you’ve got 20+ years of research base and evidence from Aust and O/S thats arrived at clearly defined and articulated solutions. Try Finlands example. It’s excruciating to see how incapable these organisations are of taking action. My view and belief is this: form a resident / tenant action group. Get some like minded loyal, committed and passionate people, who are persistent, with an eye to long term agitation and sit down collectively and draft an action plan, or in old school parlance draft a manifesto. Get online, create a presence, link with other groups, and start pushing into the decision makers space.